Liberian President Ellen Sirleaf, along with Liberian Minister of Gender and Development Julia Duncan-Cassel, welcome land reform recommendations from Central and West Africa regional organization REFACOF (African Women’s Network for Community Management of Forests) and Liberia’s Foundation for Community Initiatives (FCI). As honored guests at Liberia’s International Women’s Day Celebrations in Monrovia on Saturday, March 8, REFACOF and FCI presented a statement to President Sirleaf urging the President to include “clear safeguards and specifics on how women’s rights to own, access, use and control land would be recognized and protected” in Liberia’s New Land Law, currently being vetted by Liberia’s internal vetting committee. In an open statement to participants, REFACOF President Cécile Ndjebet stressed the importance of securing women’s rights to land and providing equal protection of these rights to enhancing women’s status and accelerating prosperity in Liberia and across Africa. “For real political and social change to take place, there are three issues that need to be addressed, we need legislation that protects equal rights for women, mechanisms that provide for political and social equity, and a change in social and cultural perceptions of women,” said Cécile Ndjebet. The recommendations presented were the outcomes of the Third Regional Workshop on Gender, Climate Change, Land and Forest Tenures in Africa, co-organized by REFACOF and FCI, with support from the Rights and Resources Initiative (RRI) (http://www.rightsandresources.org). The workshop convened women participants from 16 African countries, and included donors, development partners, and issue experts. During the workshop, participants discussed the insecurity of women’s land protection in Liberia’s current land reform policy. Despite the promise made by President Sirleaf in an interview with Reuters (http://reut.rs/1cqvGmb) last year, in which she stated, “women will have the full right to own their land like anyone else,” clear safeguards and specifics on how these rights would be realized in practice have yet to be included. “We must remember that action is necessary and we need more than just promises,” said Solange Bandiaky-Badji, Africa Program Director for RRI. In Liberia, land conflicts remain the single most explosive issue, which, if not adequately addressed, could undo years of progress. The requested policy provisions not only stand to prevent rollback, but provide a path forward in empowering women and enhancing their representation and participation in all aspects of life, not just in Liberia, but across Central and West Africa. Should REFACOF and FCI’s recommendation come to pass, they could propel land equality, and greater gender equality, across the region, in country such as Cameroon, Cote d’Ivoire, Democratic Republic of the Congo, and Senegal, where land reform processes are just beginning. 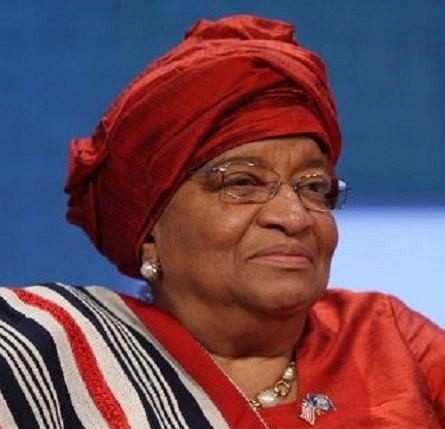 To help demonstrate solidarity and apply pressure on President Sirleaf, REFACOF garnered international support through an online petition (http://bit.ly/NzyAPm) that gathered signatures from across the globe, in six continents. As Guest of Honor Julia Duncan-Cassel remarked, the Celebration not only marked a day “to celebrate acts of courage and determination by ordinary women who have played an extraordinary role in the history of women’s rights” but, to further empower Liberian women at home. Secure rights to land are a necessary step in realizing equality. Not only do they enable women to combat poverty, provide food and income for their households, and protect themselves against domestic violence and the contraction of HIV/AIDs, they provide greater opportunities for women to become active participants in political and social processes. “Women have to be there to play, and to be in to win. Women need to start with registration for transformation. If women want women’s representation, they need to put them there through their vote,” said President Sirleaf. The Rights and Resources Initiative (RRI) (http://www.rightsandresources.org) is a global coalition of 13 Partners and over 140 international, regional and community organizations advancing forest tenure, policy and market reforms. RRI leverages the strategic collaboration and investment of its Partners and Collaborators around the world by working together on research, advocacy, and convening strategic actors to catalyze change on the ground. RRI is coordinated by the Rights and Resources Group, a non-profit organization based in Washington, DC. For more information, please visit http://www.rightsandresources.org. Founded in Liberia in 2004, Foundation for Community Initiatives (FCI) works with women’s groups in rural forest communities in three counties to help them gain a voice in how natural resources in their communities are managed. While women are the primary individual users of forest products in Liberia (for example, they collect and sell firewood to earn an income), they are largely absent from discussions and decision-making processes that are taking place in their communities and in the natural resources sector.